Thumbing through the many medical trade magazines that arrive in our office each month, we’re always struck by the typical dry product advertising. Readers are greeted by page after page of big images of medical devices, doctors in scrubs, or smiling doctors in white coats. Doctors are people, and they respond to humor (gasp! ), too. The problem? Nothing is interesting enough to make the doctor pause to read the ad. Doctors readily recognize a laser, a bottle of pills, or a scalpel, so unless the product is radically different from all the others on the market, it’s just wallpaper. Flip, flip. Wasted ad budget. Many medical device manufacturers are intimidated by doctors. After all, aren’t doctors totally scientific and super-serious? Here’s a news flash – doctors are people, too. Doctors respond to (gasp!) humor. Burnout: no laughing matter Each year, 300 to 400 commit suicide. 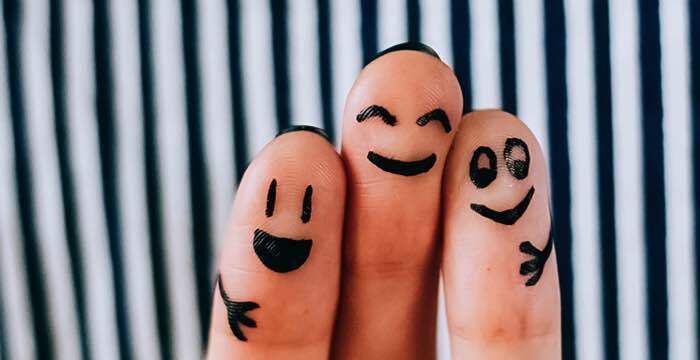 A study in the Annals of Emergency Medicine found that humor in everyday experience was one of the most successful strategies to prevent burnout. The Mayo Clinic even cites humor as a stress management tool. Job 1 for marketers is to grab attention and stop readers on the page. If we don’t do that, we fail. So why not engage doctors as people first? Put a surprising image on the page to catch their attention and demonstrate a benefit of the product. In the dry world of tradeshow magazines, your ad will stand apart and doctors will remember it. Laughter is the best medicine for the doctor and your bottom line.